In a torrential downpour, Phil, Jamie, and Martin - three teenage boys - encounter a strange and enigmatic man covered in horrible scars who will change their lives, their destinies, and the very fate of their souls forever. When their encounter mistakenly leads to murder, they realize this eerie stranger may not have been a man at all, but something much more. Thirty years later the boys - now men - lead tormented lives filled with horrifying memories of the scarred man and what they did all those years ago in the rain. Just as Hickory Grimble hits rock bottom, he inherits his grandparents’ farm and believes his luck is changing. He soon finds he inherited more than money and land. Haunted by his own inner demons, now he has new problems. He begins to see strange creatures on the dark, sprawling acreage, animals that have no business living in middle Tennessee. Balanced on a razor's edge between, addiction and fate, Hick is now face to face with an ancient evil that has returned once more to claim more of the town's children. 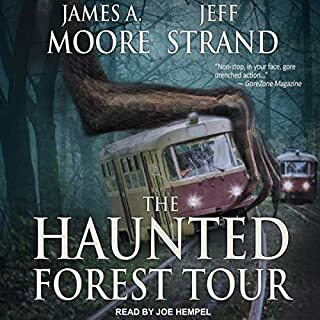 Without warning, Cameron Horne exhibits strange behavior he can't seem to control, loses time and memories, has horrific nightmares, and finds blood on his hands that may or may not be his own. When a mysterious young man who seems to know the future begins appearing in Cameron's backyard, things go from bad to worse. As voices and visions flood his mind, and shadowy figures watch his every move, something deep inside him comes awake, manifesting in acts of extreme rage and violence. Is he losing his mind, or is something evil stalking him? On a fateful summer morning in 1986, two 11-year-old girls meet for the first time. By the end of the day, they will both be charged with murder. Twenty-five years later, journalist Kirsty Lindsay is reporting on a series of sickening attacks on young female tourists in a seaside vacation town when her investigation leads her to interview carnival cleaner Amber Gordon. For Kirsty and Amber, it's the first time they've seen each other since that dark day so many years ago. Suburbia. Shady, tree-lined streets; well-tended lawns; and cozy homes. A nice, quiet place to grow up. Unless you are teenage Meg or her crippled sister, Susan. 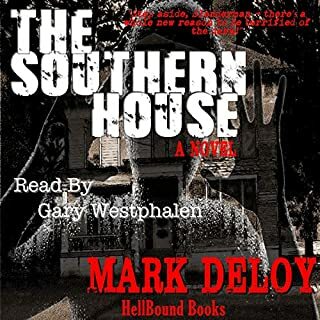 On a dead-end street, in the dark, damp basement of the Chandler house, Meg and Susan are left captive to the savage whims and rages of a distant aunt who is rapidly descending into madness. It is a madness that infects all three of her sons and finally the entire neighborhood. Only one troubled boy stands hesitantly between Meg and Susan and their cruel, torturous deaths. Welcome to Babylon, a typical sleepy Alabama small town, where years earlier the Larkin family suffered a terrible tragedy. Now they are about to endure another: 14-year-old Margaret Larkin will be robbed of her innocence and her life by a killer who is beyond the reach of the law. But something strange is happening in Babylon: traffic lights flash an eerie blue, a ghostly hand slithers from the drain of a kitchen sink, graves erupt from the local cemetery in an implacable march of terror. Jack and Allen need a break. They’ve decided to spend the summer before their senior year of college out in Western Massachusetts. But their quest for rest and relaxation comes to an end when they arrive in Greifsfield, MA. Their friendship is tested by a mysterious beauty and her razor-sharp smile, then broken when they’re caught up in a rash of mysterious disappearances. How will these two friends cope with the truth behind a town that craves raw meat? And how will they survive beneath the glow of the full moon? 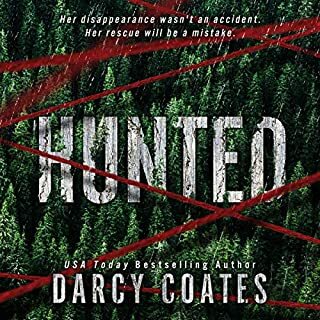 When a rifle range accident leaves Dean Howell disfigured and in a vegetative state, his wife Sarah finds her dreary life in Pine Cone, Alabama made even worse. After long and tedious days on the assembly line, she returns home to care for her corpse-like husband while enduring her loathsome and hateful mother-in-law, Jo. Jo blames the entire town for her son's mishap, and when she gives a strange piece of jewelry to the man she believes most responsible, a series of gruesome deaths is set in motion. Just as good 38 years later. From electrifying horror author Nick Cutter comes a haunting new novel, reminiscent of Cormac McCarthy's Blood Meridian and Stephen King's It, in which a trio of mismatched mercenaries is hired by a young woman for a deceptively simple task: check in on her nephew, who may have been taken against his will to a remote New Mexico backwoods settlement called Little Heaven. Shortly after they arrive, things begin to turn ominous. From out of a shadowy backwoods hollow echoes a dark threat from the past, nearly a century lost and forgotten. The rural town of Harmony, Tennessee, possessed a disturbing secret; a secret so ancient that most of its residents were completely unaware of it. Even the last survivors of a vigilante raid long ago have filed the tragic events of that autumn night away, totally unaware of the evil that remains, dormant, but forever patient, among the tall pines and thick-leaved kudzu of a place known only as Hell Hollow. Ever since Edgar Allan Poe looted a family's ignoble secret history for his classic story "The Fall of the House of Usher", living in the shadow of that sick dynasty has been an inescapable scourge for generations of Usher descendants. But not for horror novelist Rix Usher. Years ago he fled the isolated family estate of Usherland in the menacing North Carolina hills to pursue his writing career. He promised never to return. But his father's impending death has brought Rix back home to assume the role of Usher patriarch - and face his worst fears. Alan, Tommy, Rick, Donald and Bernard were inseparable best friends living in the small, coastal Massachusetts town of Potter's Cove. A circle of five, their world was simple and happy until the day Tommy was struck by a car and killed. Nothing was ever the same. They were never the same. Years later, as the four survivors - all unhappy, unsuccessful and marking time - approach their 40th birthdays, Bernard suddenly commits suicide. 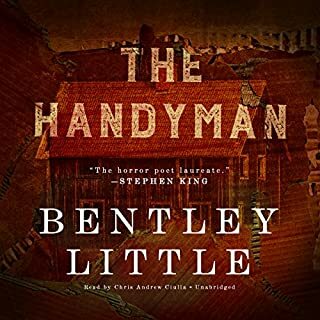 Within weeks of Bernard's death, one by one the mutilated bodies of murder victims are found in town, and as the three remaining friends attempt to solve the riddle of Bernard's suicide, they come to realize that he may not have been who or what they thought he was. His entire life may have been a lie, and rather than the sad, lonely and harmless person they believed him to be, he very well may have been a savage ritual killer, a bleeder of young women who conjured evil to fulfill his own demented dreams. To find the truth not only about Bernard, but themselves, they must delve into the darkness and those who inhabit it, a darkness that cradles an unspeakable evil so terrifying it could forever trap them in the shadows of the damned and shatter the very concept of their existence. This takes place in a small town. Alan and his friends get a message that their old friend, Bernard committed suicide, and it leaves them reeling and pondering what happened? When they find a weird note left by Bernard, Alan is left with a mystery to unravel after a body is uncovered. Did they really know Bernard?? Well, this was a dark and twisted tale! It begs the question, do you really know your friends? Alan thinks back on his childhood with the gang and soon realised that maybe Bernard isn't who they thought, maybe the glow of innocence blocked a lot of what Bernard was doing. I really liked the back story because we get a great incite into the boys and Bernard especially. He was evil but did the evil die with him? The characters were all well developed and written. They grow throughout the story, which is always a plus. The plot was fast paced and gripping! It's a dark and deadly look into the mind of a disturbed child. We see how he progresses from child to child killer from Alans POV. 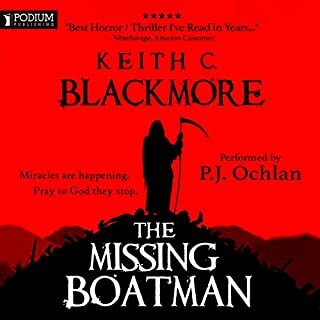 It's a gripping and darkly delicious read and one I can recommend! I loved pretty much everything about it and will definitely be checking out more from this author. This is the first book I've listened to by David Stifel, but it won't be my last. He had such an easy voice but one suited to this dark atmosphere. He really brought across the dangerous feel of the book! I really enjoyed his narration. I wasn't sure how the audio was going to stand up with this one, as I read it several years back and absolutely loved it. Fortunately, I was not disappointed. The narration was spot on and the cadence and pacing were perfect for the story. If you have read this one before or not, it is highly recommended. The Bleeding Season is the story of Alan, Tommy, Rick, Donald and Bernard – Best buds since grade school. 20 years later they experience a horrible tragedy when Bernard takes his own life. Crushed by his death, the friends find out he has left a recorded message for them with clues to terrible things that he may have done and his dark and disturbed nature. The three friends quickly find out everything they thought they knew about Bernard was a lie. Nobody can believe it. Then, the bodies start to pile up. 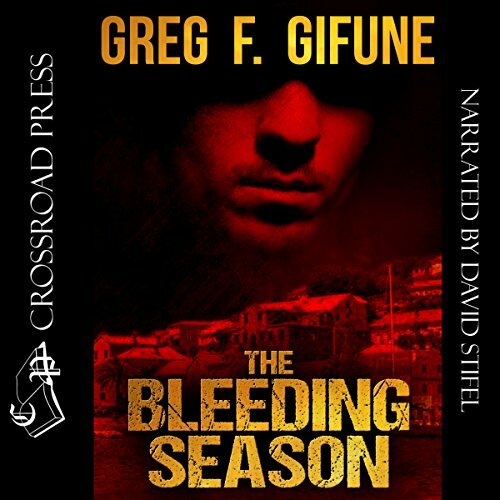 Greg takes his time developing his characters and getting down the poignant aspects of the back-story, which only slightly distracted me from the pace. Greg is undisputedly a master of dark fiction and this one is surely a classic. Greg F Gifune is one of the best in the biz. Required reading for horror aficionados. Solid 4.5 Stars. Highly Recommended. This was a terrific book! David Stifel narrated it very spookily.Would you know that a friend is a psychopath and has always been?This book follows a group of friends who learn way more than they want to know after a friend commits suicide. I was given this book free by the author,narrator or publisher. Depends on the friend. The writing was good, and the performance was also, but it would have to be the right friend. Oddly, it's the same aspect. This book is consistently and painfully melancholy. Not exactly scary, as those theoretically frightening points are buried in so much mundane misery that they lose their edge. The books commitment to that relentless unhappiness is kind of astonishing, but hard to listen to after a while. Could you see The Bleeding Season being made into a movie or a TV series? Who should the stars be? Although this book wasn't my cup of tea, I would certainly check out other works by both the author and the narrator, as it was both well written and well read, it was really the concept that fell flat for me. I was given this book by the narrator at no cost in return for a fair review. What did you love best about The Bleeding Season? The thing I liked most about it, was the same thing I like most about everything I've read/listened to by Gifune. He does such a great job creating an atmosphere of existential despair that the horrific things that happen on top of it are that much stronger for it. Favorite character is Alan just because the author allows us to get into his head to such a degree that it's borderline difficult to get back out again. It's a long book with a lot of great scenes that weigh heavily upon the plot, so it'd be difficult to single one or even several out as being better than the rest. Yes, but at 13+ hours that wasn't in the cards. I've read through several of his books in one sitting though so that notion was not entirely unexpected. I received this in exchange for an honest review. I recommend the reading/listening to of as much Gifune as possible, and that's aided by the fact that Stifel did a great job narrating something as deep as this. It is extremely bleak however, so if that kind of thing bothers you I would stay away. Alan and his friends have had a rough life. They all seemed like they were going on to great things as kids, super stars some would say. Alan was going to be an amazing writer, Rick a football star, Bernard a marine, and Donald, well he would be Donald. Life didn't go as planned, and so when when Bernard kills himself, he leaves a tape he recorded and shares with the others some dark secrets. Secrets that at first they refuse to believe, but after the first body is found, hey realize Bernard may not have been the person they all thought he was. The Bleeding Season is a novel of nightmarish imagery that fills it's pages with disturbing scenes that will make you again fear the dark. 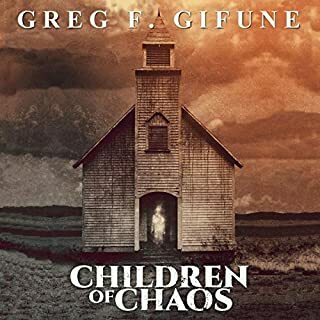 Greg Gifune has an amazing sense on how to build and sustain tension that puts him on his at with many legendary horror writers and reminds me of Clive Barker with his hellish visions. These images carry though much of the novel and they needed too, as The Bleeding Season is not without its faults. I highly enjoyed this novel and strongly recommend it, but it doesn't a suffer from some odd character interactions and terrible dialogue. The way Alan and his wife talk to each other often conflicts with certain feelings and actions that make it sound forced and used more just as plot devices than actual character development. The same could be said with some of Alan's interview subjects. None of these interactions feel natural. I also feel the ending was a little too...positive. This novel works so well, and good goes very dark, but somewhere in the end it feels like he could do a happy ending which is unfortunate as it made the ending highly predictable. Don't get me wrong. This is an excellent read, and if you want something to fill your nightmares with, then prepare yourself for "The Bleeding Season." The images and the action are more than enough to make this well worth it as this novel will pull you in to Alan's hell. If you are lucky, you might just survive. What made the experience of listening to The Bleeding Season the most enjoyable? Mr. Gifune tells the story so well, The writing in this novel is so good, it's almost lyrical at times. The author writes very well, especially when it is in reference to people who are damaged.